The aging dino-tech “Jurassic” series uncovers a “new” species in 2015’s ‘Jurassic World‘. And just because it’s bigger then what’s come before doesn’t mean it’s any better. The Micheal Crichton inspired ‘Jurassic Park’ back in 1993 was the embodiment of a “if it can go wrong it will…” cautionary tale slipped inside a thrilling, wondrous Spielberg adventure. Unfortunately, subsequent sequels demonstrated a decided lack of lessons learned and now we get a whole new supply of dino chow for 2015. 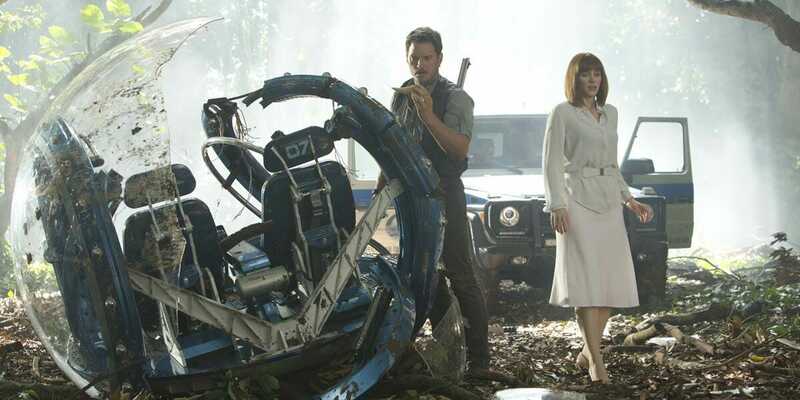 Decades after Jurassic World debuted guests are growing tired. 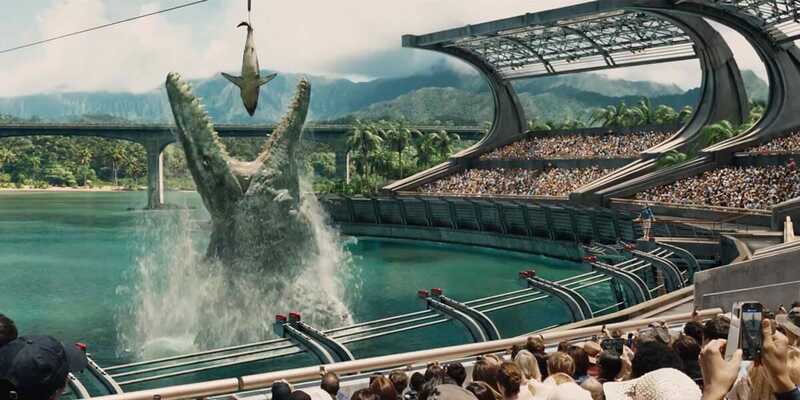 Therefore, those crafty genetic engineers have created a brand new dinosaur, the aptly named Indominus Rex. 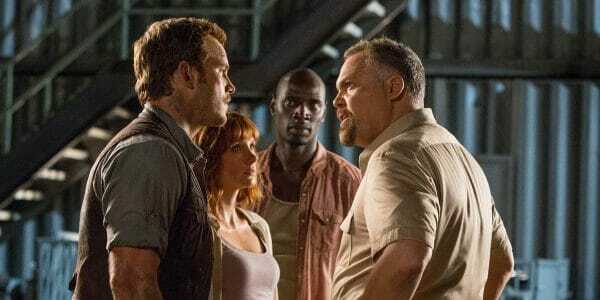 And when park administrator Claire (Bryce Dallas Howard) asks ex-Navy SEAL and current velociraptor expert Owen (Chris Pratt) to double check the Indominus exhibit, expectedly, everything goes horribly wrong. In quick summary: this Frankenstein dinosaur escapes; all hell breaks loose; Owen and Claire go off on a rescue mission like it’s a 1940s Cary Grant film; an evil corporate military stooge (a hammy Vincent D’Onofrio) arrives just in time to “save the day”; and everyone else? They get eaten by dinosaurs, of course! A scenario of killer dinos on the loose should not have such a steep learning curve in a twenty-year-old dinosaur theme park. Yet, somehow, Owen is the only one who seems to understand the threat. Therefore, by default, he’s about the only character I ended up giving a crap about. Stupidity does not engender empathy. The spectacle is, at least, somewhat impressive. 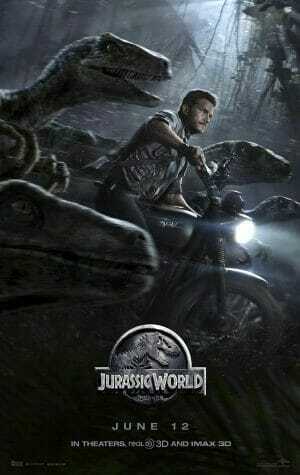 The dinosaur effects and action sequences are remarkable; the Indominous Rex battles are epic and rather PG-13 gruesome; The raptors are just as nasty as ever; and there’s even a juicy surprise at the finish to up the wow factor. I’m not sure, but I think dinosaurs did this. Plenty of spectacle on-board to distract. However, almost none of the wonder I once felt over these CGI dinosaurs lingers. Dinosaurs wrecking havoc around a rainforest theme park isn’t even close to fresh no matter how much new crap they throw at us. And where’s the heart? Filmmaker Colin Trevorrow’s enthusiasm and reverence of the source material is a noticeable highlight amidst all the bleh. And there’s a plethora of talent in support, they’re just not utilized very well. Did I mention that there’s also a whole kids in peril subplot? Really. ‘Jurassic World‘ is not a great film, it’s probably not even a good film. 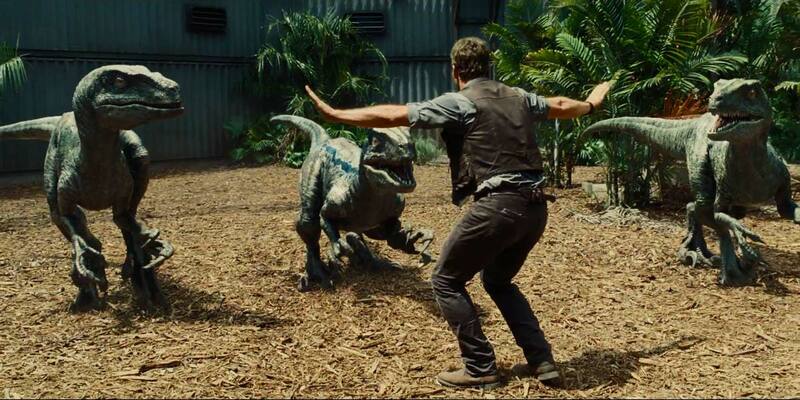 But, it is an entertaining film full of big action and Chris Pratt’s effortless charm in a T-Rex sized production. With over a billion at the box-office this franchise isn’t close to extinct. Let’s hope next time they give us something actually new. Lots of CGI, lots of cheap thrills, and lots of characters doing lots of silly things can’t mask a (near) complete lack of logic, suspense, and heart.